Rear Admiral Ayhan Bay, Commander Combined Task Force (CCTF) 151, recently visited the Oman Coast Guard Headquarters in Muscat to enhance mutual cooperation and understanding with the Omani Coast Guard. 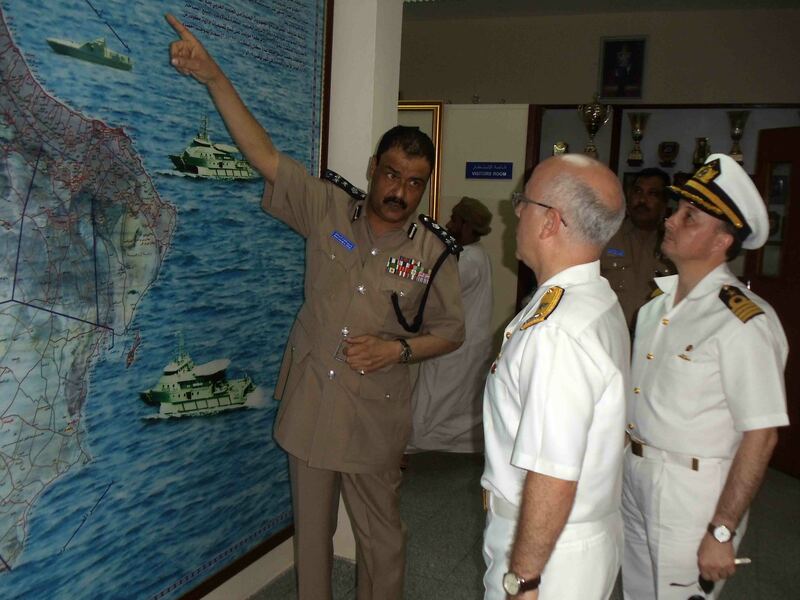 The Commander of the Omani Coast Guard Brigadier General Bader Khalfan Al Zadgali briefs Rear Admiral Bay at the Omani Coast Guard Headquarters in Muscat. Rear Admiral Bay then returned to his flagship TCG Gemlik to continue counter piracy operations in the Gulf of Aden.